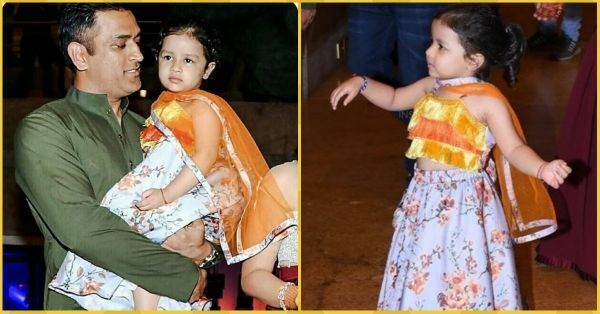 Ziva Dhoni Dancing At A Wedding Has Got To Be The *Cutest* Thing You'll See Today! The babies of tinsel town have some special cuteness to them, I feel. You'll know just how obsessed we are with Chote Nawab Taimur and his grey-eyed cousin, Inaaya. But another one of our favourites is Captain Cool's angel, Ziva Dhoni. She's the most adorable li'l munchkin and is always dancing and cheering for her daddy. Who remembers when she wanted to give Mahi a hug while he was on the field playing? 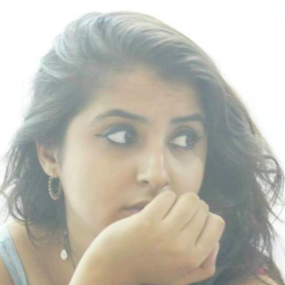 Oh and not to forget, Ziva is quite the singer, her video performing a Malayalam song went viral and boy, were we in love!? Last night Ziva Dhoni attended socialite Poorna Patel and Namit Soni's sangeet along with her father and mother. She dolled up and looked adorable in an orange and white lehenga and absolutely stole the show. I mean how can even the bride and groom compete with that face?! Apart from MS and Sakshi, other men in blue were also present at the function. Yuvraj, Parthiv, Irfan and Zaheer Khan along with wife Sagarika were there enjoying. B-town stars like Manish Malhotra, Nushrat Bharucha and Sophie Chodhry were spotted too. But among all the dancing, drinking and enjoying, it was baby Ziva who stole the show. She took to the dance floor and absolutely aced those moves and we're going gaga! What a dancer, right? Ziva can sing, dance, and look freaking cute. How can we not swoon over her?! This isn't the first time her dancing antics went viral on social media. Earlier daddy Mahi had shared a video of Ziva dancing with the caption, "Dances better than the father at least."